Join me for a book talk at the Melville Gallery at the South Street Seaport Museum on April 11, 2019 at 6.30pm. A couple of my photographs will be on view at AIPAD 2019. Visit Scott Nichols Gallery at Booth 106 from April 4 -7 (pier 94, Manhattan). I will be giving a book talk at the New York Transit Museum on Tuesday March 5, 2019 from 6.30pm to 8.30pm. I’m participating in the 20th Annual Friends Without a Border Benefit Photography Auction with my photograph Bridge Lagoon. You can bid online today or attend the ticketed live event on Wednesday, December 12, 2018. Listen to my interview with Alison Stewart on WNYC’s All of It. Join me for a book signing at the ICP Museum Photobook Fest on December 6 from 6.30pm to 8pm. To celebrate the launch of my book “In The Shadow of Genius” I will be giving a book talk at The Skyscraper Museum on October 29. 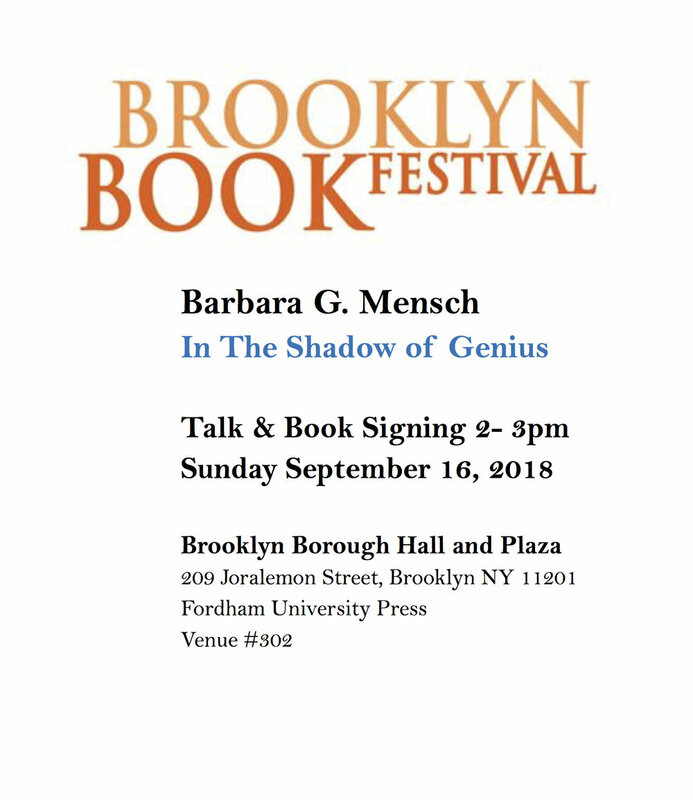 On Sunday, September 16 from 2 - 3pm, I will be signing advanced copies of my newest book ‘In The Shadow of Genius - The Brooklyn Bridge and its Creators’, published by Empire State Editions, an imprint of Fordham University Press.